Kayla Mattes is an artist based in Portland, Oregon. Influenced by a blend of pop­culture, the internet, nostalgia and consumerism, she uses her background in textiles to create works primarily in tapestry, installation, digital painting and material experimentation. Mattes studied Textiles at Rhode Island School of Design before moving to Portland in 2013. 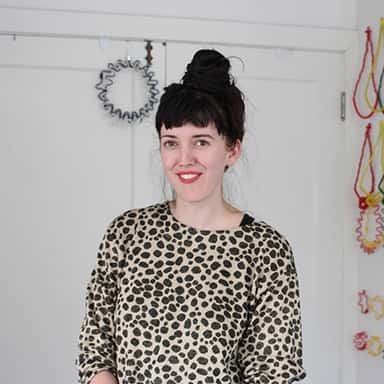 For the past two years she has also been teaching and dabbling in jewelry design as a source to create small wearables based on her material studies.